Are you bored with green and caesars salads, and want something different? I am one who has said I don't like salad. Not because it's vegetables, vegetables are some of my foods, but let's face it, salads and vegetables can get boring. I like butternut squash but have never thought to put it in a salad. I'm adventurous with food, so I figured why not. when I tried it, I loved it. It's simple recipe for a very good meal, TRY IT! 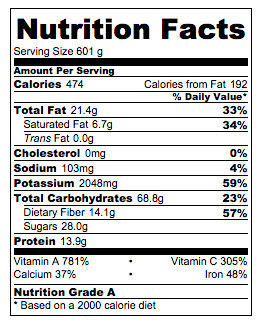 One cup of butternut squash cubes contains just about 82 calories and 457% RDA vitamin A. So you can eat allllll theeee squashhhhh you want. 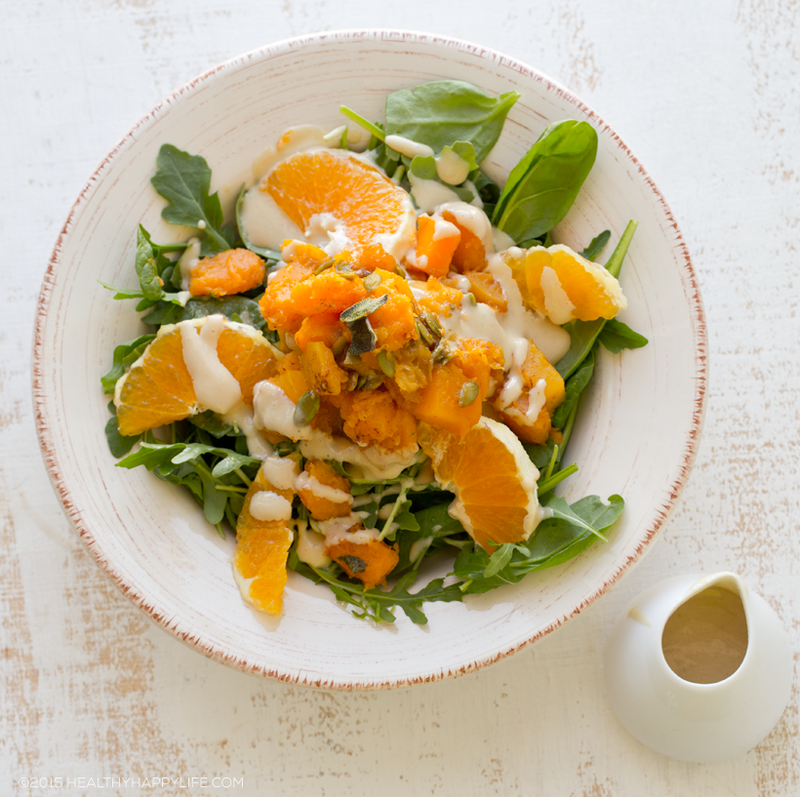 This easy salad includes skillet butternut squash, accented with citrus, pumpkin seeds and a generous drizzle of tahini-maple dressing. Delicious! Warm a skillet over high heat. Add the coconut oil. When oil is hot, add the squash and splash of water. Allow to cook until the squash is tender and cooked through, but not mushy. Note: If using fresh squash, it is advised that you boil it first, to get it tender and cooked through -- drain water then add the tender squash to this skillet. Sprinkle the cinnamon, orange zest and salt over top. Tear the sage leaf into tiny bits and add it to the pan. Fold the squash with these seasonings. Push the squash to one side of the pan. Add the pumpkin seeds to the dry side of the pan, along with the orange juice and maple syrup. Let them sizzle for a minute or two. Then gently fold the seeds and seasoned squash all together, allowing all the flavors to combine. Turn off heat. Optional: toast two small sage leaves in the hot pan to be used as a "fried sage" garnish. Using a blender, combine the dressing ingredients together. I will usually double or triple the dressing recipe so that I have some leftover for the next few days -- and this makes it easier o blend in a blender container. If not blender, you can whisk everything together by hand. The dressing is super simple: the tahini, maple and then an acid to help loosen the tahini. Then add more of the acid - or water to thin out the dressing to your desired consistency. You can play around with these basic ingredients as well to craft your perfect tahini dressing. If you like sweet, add more maple, etc. Drizzle 2 tsp of the dressing over top the salad greens. Then add the orange slices around the edges of the serving bowl. Finally, add a large generous portion of the skillet butternut squash and pumpkin seed mixture to the center of the salad. Then add more dressing over top. Add the toasted sage leaves as garnish - optional. I like a thick tahini dressing to drizzle over top. Serve right away so you enjoy the warm skillet squash combined with the cool, bitter and spicy greens and citrus. What ideas do you have to make a green salad something new? Lets us know in the comment section below!